Head-dress, Clasp for a Cloak, Rosary and Alms-box, from a painting by Van Eyck. 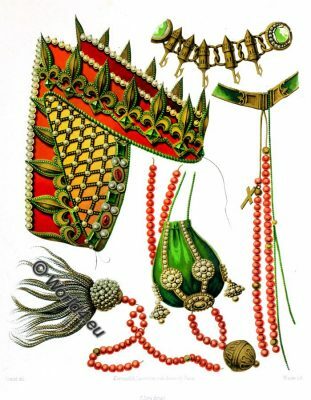 Accessoires of the 15th century. Coiffure, Agrafe de Manteau.